Fly and flow - Montpellier, Frankreich - THE LINK – Stadt. Land. Architektur. Montpellier. Frankreich. 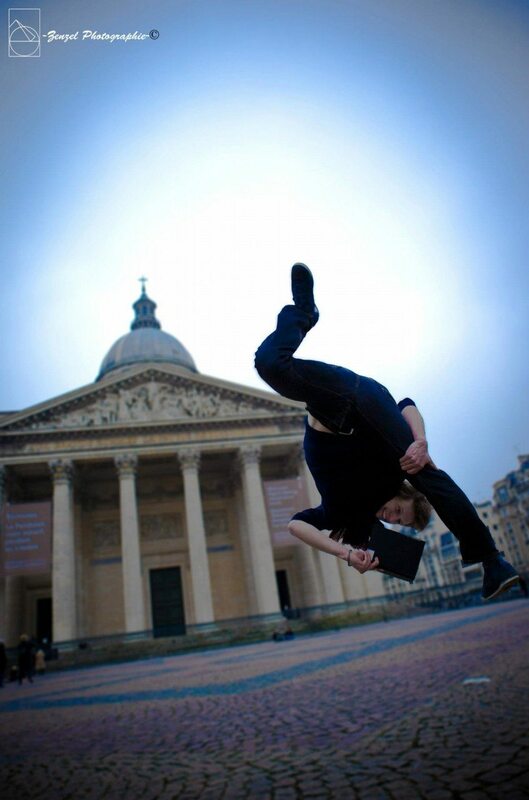 Andrea Catozzi is a young, self-taught artist who specializes in urban acrobatics, dancing, capoeira, film making, and acting. 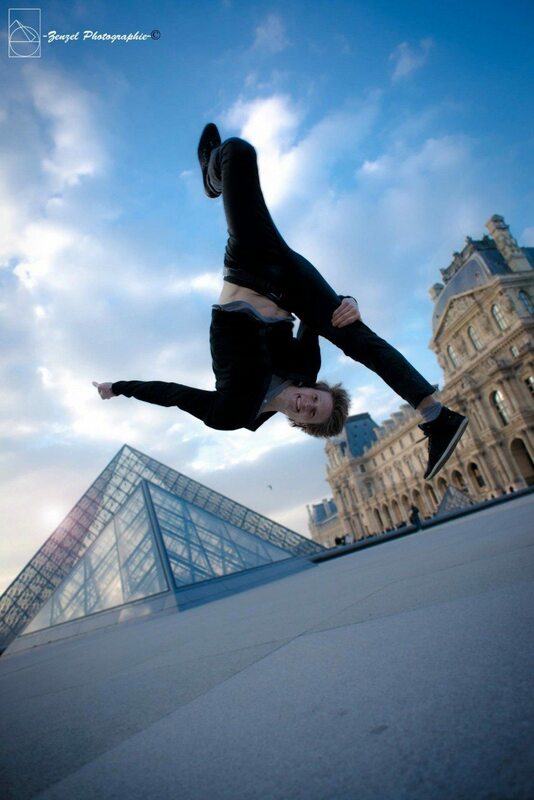 His style is original, blending capoeira with light acrobatics. In our interview he explains his movement philosophy, the impact of an urban setting on his performance and what Montpellier, Sri Lanka and Paris have in common. 1. Please describe your philosophy and the reason for combining different dance styles with acrobatics ? My very first inspiration came from Capoeira, a Brazilian martial arts I discovered watching martial art films, and breakdancing. I was 11 when I started training on my own and Capoeira acrobatics especially has remained my main inspiration so far. I have always loved to move. Not only to dance or to jump. I think for me it is all about movement: movement of body, mind and soul. At a very young age I quickly had the chance to work with many different dance companies (hiphop / contemporary) where I could combine my acrobatics and Capoeira skills with being on a stage. This passion for the stage and live performing has always pushed me to search and create around the art of movement, the art of flipping into dance. My entire artistic life has been made by the exchanges I had with other artists. Some people I met, some people who’ve inspired me... Today my main focus is about Well-being Movement, Well-being acrobatics and dance. Because I think it is not incompatible. I'm working on how to perform and push the limits of my body in the most natural way, with a high consciousness of the energy involved with movement. This can be applied to high-level acrobatics, but also to simple daily gestures. My self-taught background taught me to train and work a lot with video and filming, which I think, is an amazing “reflecting” tool. 2. What are your current projects and what are you planning for the future? I have many projects at the moment. I keep experimenting with dance and circus companies, but I also work on solo performances that combine acrobatics and dance, as you can see on my videos. Now I'm preparing a new choreography with a very particular costume. I'm also sharing my movement philosophy in workshops at many different levels, like professional artists and other people. 3. You also perform in an urban setting as your background: What makes a city special and what impact does it have on your performance? I love to make videos and to show the artistic creation process, like the performance on stage or any other situation. Video making is a very good tool for that. I direct and edit my videos like a choreography. And with a good choreography I need a beautiful scenery. I love to film in the nature and in the city. Both environments can provide spectacular backgrounds. The city has a very interesting impact on my performance, as it pushes me to adapt my skills to the urban structures, to think differently, and sometimes to break beliefs and mental barriers. This always sharpens my movement. 4. What are the most challenging and fascinating locations and spots and why? I think one of the most challenging locations I had the opportunity to perform in was the catacombs of Paris. This was such an adventure! It’s not wise to get lost in there. I went with a friend of mine who knows the place. We entered through the sewers, crawling and walking through the tunnels who knew. In this darkness we lighted 200 candles in order to shed light on the spot. The ceiling was pretty low and the ground unstructured. It was very interesting to fit my choreography to the space! 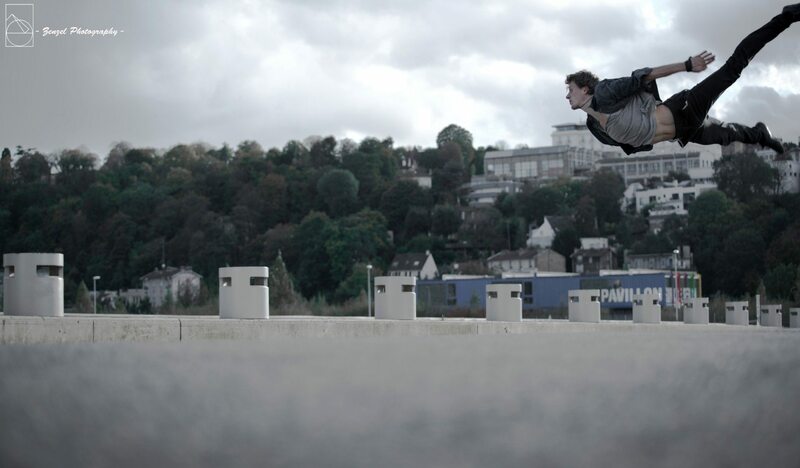 After that, we finished the video on a roof, and this was also a big challenge. It was my first time climbing a building the Parkour way ... This was filmed by “Zenzel photography”, a very good friend. 5. Where is your favourite place in your hometown and why? And your favourite location abroad? I live in Montpellier, in the south of France. I'm not often at home due to my profession. I prefer to train outdoor and the sunny city of Montpellier is amazing for that. One place is called Antigone and it is the perfect spot to move and shoot films. I have a beautiful backgrounds with grass, concrete etc. A good environment for a proper training! And I have the beach nearby, which is the best gym for me. 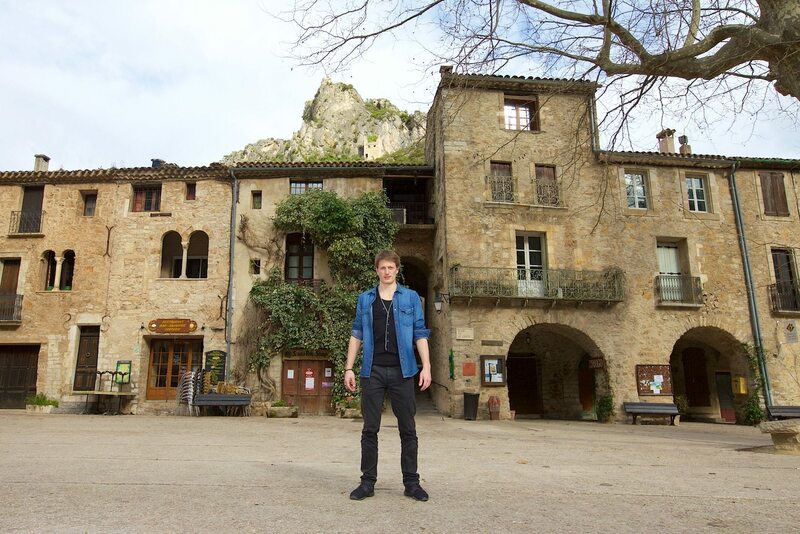 I'm also in love with the small village where my family lives, in the mountains of the French Riviera with lots of nice spots and surrounded by nature, everything to keep me happy. Finally, I think my favourite location abroad so far is a quiet place in Sri Lanka. I've spent a month there with my girlfriend and we've found this lovely location in the south, at the seaside. It was the perfect place for me to flip, dance, meditate, think and revitalise. Von Jan Dimog Publizist und Gründer, veröffentlicht am 25. Februar 2016 . Andrea Catozzi Born 1989. Professional artist, acrobat, dancer and actor. 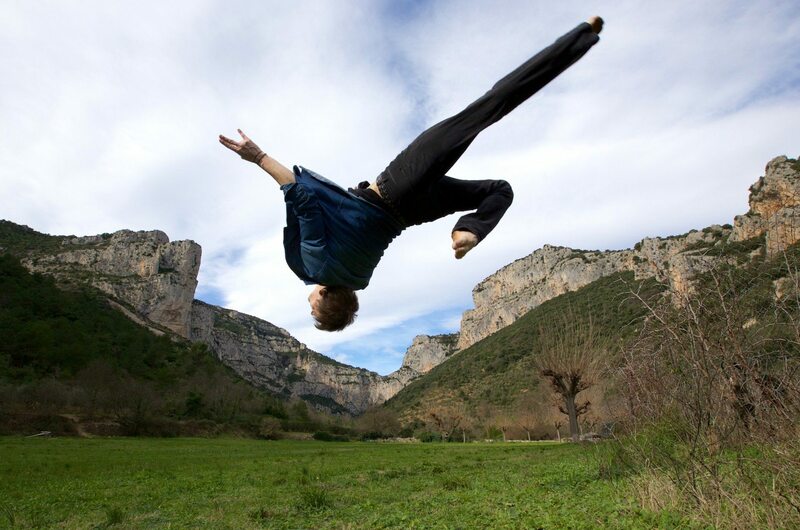 His style is original, blending capoeira with smooth acrobatics. He has performed in France, Canada, England, Belgium, Italy, Spain, Argentina, Uruguay, and India. 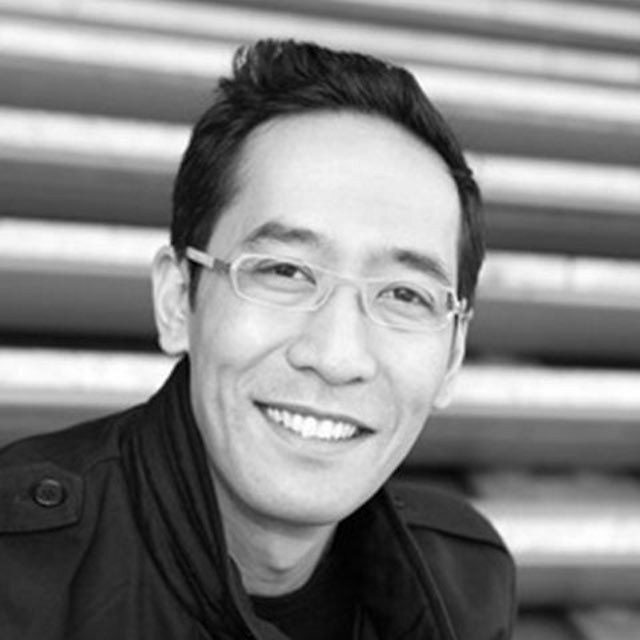 He is currently based in Montpellier, France. He is originally from the French Riviera.